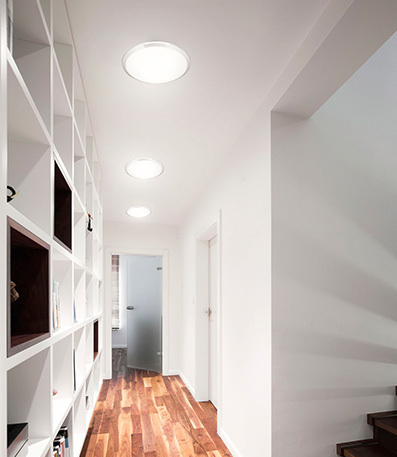 Lighting tips for other home areas such as Foyer/Entryway, Hallway, Stairs/Stairway, and Utility/Laundry zone. In the entrance foyer, general lighting is needed to welcome guests and assure safe passage. This can be furnished by a decorative ceiling fixture that emits a generous spread of light. 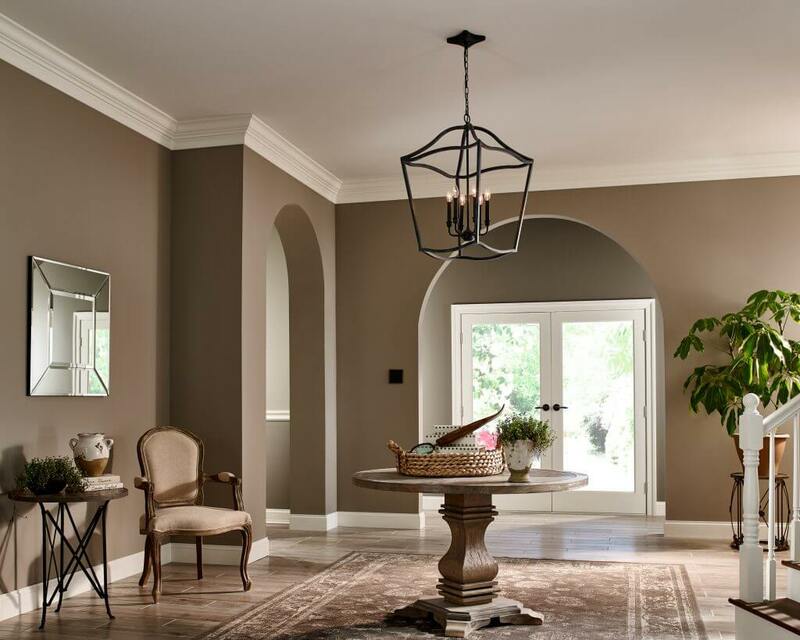 If more light is needed, consider placing matching wall sconces on either side of a foyer mirror. Hallway should be illuminated every 8 to 10 feet for safety. You can accomplish this with ceiling fixtures, wall sconces, recessed fixtures or track lighting. Movable track fixtures will give you the general lighting you need for safety, while allowing you to accent any artwork or family photos. Stairs should be lighted from top to bottom to prevent accidents, with switches at both ends for convenience. 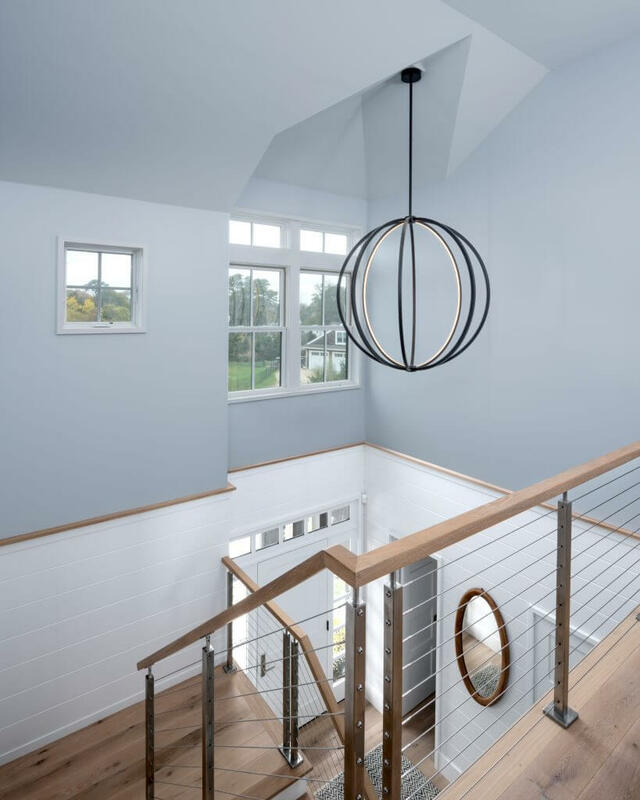 If hall and foyer fixtures do not illuminate the entire stairway, you can install a chain-hung or close-to-ceiling fixture above the top step. 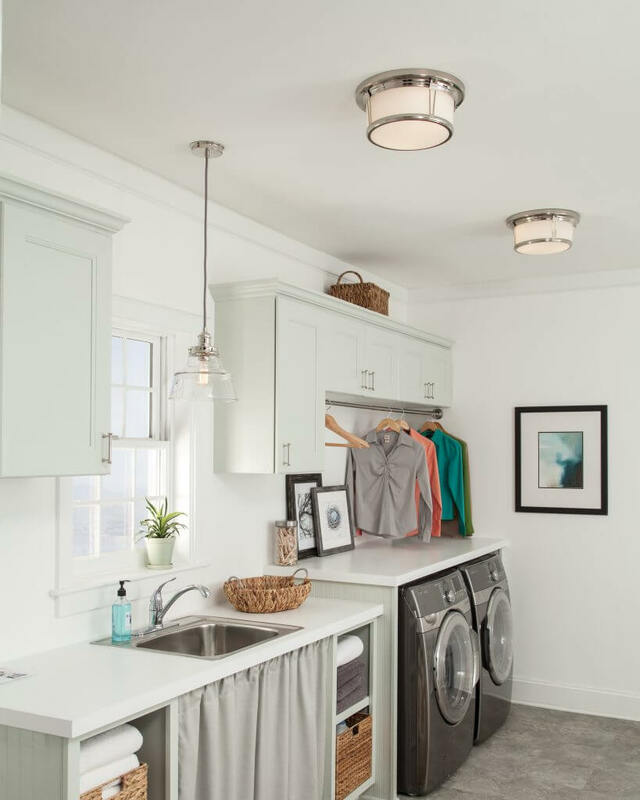 Utility/laundry areas need plenty of lighting for sorting laundry, measuring detergent and setting dials. Consider an energy-efficient LED ceiling fixture or recessed fixtures spaced evenly around the room for general lighting. Adjustable track lighting and under-cabinet lighting can also be good options for task lighting.